Swim spots and beaches in Georgia are in a class of their own. Lazy rivers braided through swamps and salt marshes; Spanish moss and pecan trees veiling the full might of the Atlantic; wide open beaches; a dependable sunrise over the ocean – these are all part of what make swimming in Georgia so special. Georgia sits just above Florida in the U.S. The state has hot and humid summer weather. Visitors and residents can escape the heat along 110 miles of coastline and on 15 of its barrier islands. There are also 61 State Parks throughout the state with warm inland lakes. Georgia’s coastline is relatively undeveloped compared to the rest of the East Coast. As a result, many beaches in Georgia are pristine and offer great areas to swim in gorgeous natural settings. Waters are relatively warm because they remain shallow near the coast and relatively few waves mean that you can swim in mainly calm waters. Georgia’s barrier islands are home to some of the state’s best beaches. Each island has its own unique identity and offerings. Cumberland is the largest island. Here you will find excellent beaches for swimming (but avoid the freshwater ponds where alligators and snakes can be present). You’ll also find plenty of wildlife, including wild horses. 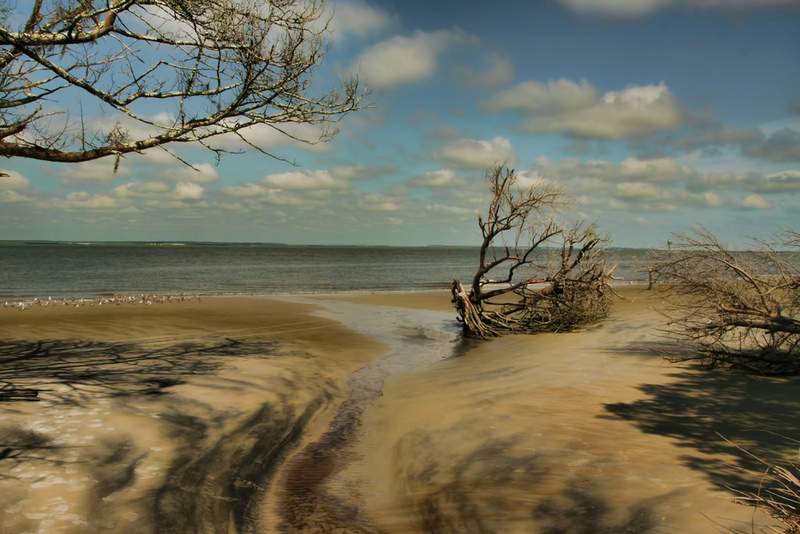 On Jekyll Island, you’ll find clear waters, beautiful sand beaches and ample opportunity for fishing or snorkelling. Inland, John Tanner Park is well known for its water recreation opportunities. It has two lakes and lots of sandy beaches. Apart from swimming, water lovers can also take part in boating or fishing on the lakes. No matter where you are in Georgia, there is something for every type of water lover – adventure, peace and quiet, or breathtaking natural scenes – it’s the perfect beach holiday.